 Route B begins in Middle Amana at the entrance to the Amana Colonies Golf Course, riders will travel to West Amana rather than High Amana. This route is more challenging and approximately a 17 mile round trip. West Amana features Iowa’s Largest Walnut Rocking Chair, Basket and Broom Shop, Opa’s Tractor Museum, Michele Maring Miller Studio and Gallery, and the landscape that inspired Grant Wood to paint his famous Young Corn. Return through High Amana along paved road.